Whiskeymarie: AGING HAS-BEEN SPINS OUT OF CONTROL! Reliable sources report sightings of the reclusive and brilliant Whiskeymarie von Partypants out on the town with a new beau. Ms Partypants appeared to be intoxicated and possibly without underwear. Her reps declined comment. "Mr. Smileypants and myself were out with a number of other people Saturday night celebrating the Thanksgiving holiday. Mr. Smileypants has been one of my backup dancers for 11 years now and the relationship is strictly platonic. He is a great comfort to me during the long, lonely months when I am touring Eastern Europe and Greenland. We have great conversations, that is all. I am a happily married woman." A close friend of the pop phenom spoke with E! television under a guarantee of anonymity: "She is so totally having a fling with Smileypants, it's been going on for years. Everyone knows- even her husband. I can't believe you guys didn't figure it out yet. I mean, have you seen her kids? The white, pasty skin, the delicately drawn features? C'mon! Are you kidding? Little Smilerina looks just like her daddy, and it ain't the one her Momma's married to." With her fortune estimated to be in the thousands, Ms. Partypants stands to lose a lot in the event of divorce. Experts say it is probable that Mr. Partypants would most likely be awarded sole custody of the couple's two children, Smilerina and Smiledore, as well as the couple's 1,300 square foot estate and the fleet of cars that includes both a rusty 1997 Jetta and a late model KIA with a broken gas tank door thingy. Her fans are shocked and devastated, and it appears that the Ukrainian faction of her international fan club will be boycotting her new album. The album: Drinkin' myself into your heart, stupid is due to be released early next week. This controversy will surely hurt sales, which were expected to be in the tens prior to this development. Stay tuned here and on our sister AM radio station, KRUD1400, for any new developments. 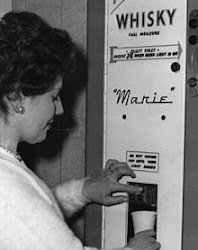 As your biggest fan and webmaster of fansite whiskeymariefan.com, I will vehemently deny any wrongdoing on your part to any media outlet that asks and insist that people don't know the real you like I do, even though we have never met. Then I will cry into my pillow at night and ask my diary what Mr. Smileypants has that I don't and wonder why it wasn't me. You know I've been searching and searching and now I have my firstborn's name. Smilerina it is. Even if its a boy. These people are sick and they are just trying to tear you down! Never fear, I have already purchased 10,000 copies of Drinkin' myself into your heart in order to bolster sales. Unless I read it in the National Enquirer, I will never believe that about my precious Ms. WM. I remember her when she was a struggling pole dancer. People are just trying to tear her down! Ha..I slay me! Cute pic, and your story cracked me up! You're still a role model as far as I'm concerned. 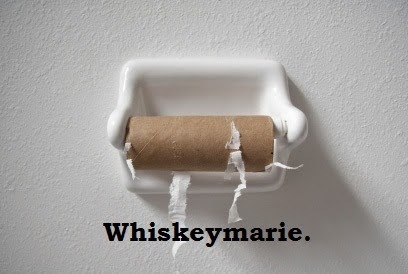 Leave WhiskeyMarie Alone! Hmm. Smileyface is strangely familiar ... and hot. Wonder if he's got a brother. Glad to see you were having fun and living it up over the holiday! God, woman. Stop cracking me up! I'm going to have to invest in incontinence pads, dammit! Why have you never told us that you are married to George Clooney? Luckyyyyy! I know thins has nothing to do with anything, but you look insanely hot in that picture, yo.